“I sold my Motherland for that car!” is one of the most famous lines in Soviet cinema history, and had become so even prior to the release of its source material. Before The Garage (“Гараж”) hit the Soviet screens in 1979 the word was already spreading that the upcoming film by one of the most unconditionally adored Russian directors, famous for his romantic comedies, contains such explicit manifestations of dissent and dissatisfaction with Soviet reality that it was impossible to imagine how on earth the censorship would allow its release. Thirty years on one cannot help but ask the exact same question. The film director’s universal popularity is traditionally given as the main answer. The censors simply could not afford to shelve a film by the most consistent producer of the closest thing the Soviet Union had to blockbusters. However, if this is the case, surely the question of whether to release or to ban presented somewhat of a catch-22 for the people in power. The director’s name, not to mention the all-star cast of the movie, was a 100% guarantee of making the film a hit. Decisions, decisions… I bet it’s tough running an authoritarian empire on its last economical and political legs. So they went for releasing it, but they made sure that the director felt the consequences. In the first part of my discussion of the The Garage I am going to talk about its director and the context of the film, which is helpful for appreciating its significance. In the second part I will concentrate on the film itself, trying to give an idea of what it is doing and the impact it could have had on the Soviet audiences at the time of its release. 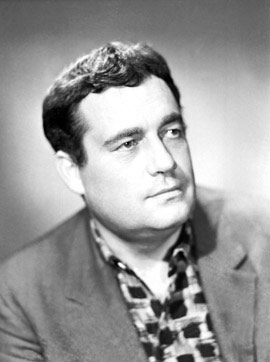 Eldar Ryazanov (b.1927) started his directing career making short documentaries. In fact, filmmaking was something he stumbled upon almost by accident when his plans for joining the navy have failed. At VGIK he was taught by such legends as Grigory Kozintsev and Sergey Eisenstein, but for years after his graduation he chose to stay away from commercial cinema. It was the most powerful man in Soviet film industry Ivan Pyryev (the director whom Wikipedia calls “the high priest of Stalinist cinema” was at that time the head of Mosfilm) who effectively forced Ryazanov into making comedies, saying “Don’t be an idiot, Elik. Do what you’re best at”. And the history was made. Despite being Ryazanov’s debut, Carnival Night already contains all the strengths of his later masterpieces. Now, it would not be right to give an impression that all of his subsequent outputs were as strong as his first. Far from it – a 1961 A Man from Nowhere (“Человек ниоткуда”) was shelved for no other reason than it was thought to be just an embarrissingly awful film, and awful it is. But his artistic successes were so strong and so universally popular (these include Ballad of a Hussar (“Гусарская баллада”, 1963), Beware of the Car (“Берегись автомобиля”, 1966), Irony of Fate, or Enjoy Your Bath! (“Ирония судьбы, или с лёгким паром!”, 1975), Office Romance (“Служебный роман”, 1977) – and these are only the ones I rate personally), that if he only made one of those his place in film history and people’s hearts would be guaranteed. 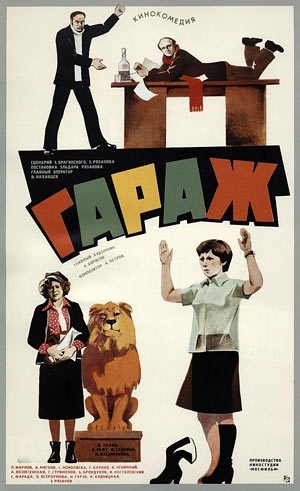 To this day each one of these movies endures its life on Russian television screens and in everyday conversations, as popular quotations from Ryazanov’s films have become a part of the fabric of Russian informal interactions. And Irony of Fate, another New Year’s story (Soviet Union didn’t do Christmases, for obvious reasons, so New Year was, and still is, the main Yuletide festivity in Russia), has become as much a part of the winter holiday as Father Frost, a tree, clementines, Soviet Champagne (which is a brand name, by the way) and that famous Russian salad. So what were Ryazanov’s strengths? What was it that made his comedies so good, so popular and such a big part of Russian contemporary culture? Well, firstly there’s a fact that they weren’t just comedies. They belong to a genre known in Russia as “lyrical comedy” which means that his films combine comedic elements with drama and a strong focus on the human story, with character development at the absolute centre. His characters are always well drawn, recognisable and relatable. His dialogues and satire are often pitch-perfect, and the message is always hopeful and affectionate towards both the characters and the viewers: they are the ultimate feel-good movies. But this is just a part of it. Ryazanov’s other strength is the already mentioned lack of explicit politics in his films. Officially, he is a maker of lyrical comedies, and you are very unlikely to find any Soviet political propaganda in his work. He was by no means the only director to avoid propaganda in his films (which the late-Soviet political atmosphere allowed, albeit depending on director’s reputation, connections and general standing), but this aspect was the first step on the way to people’s hearts. It is also part of the reason why Ryazanov’s films are so watchable today. However, to say that his movies are completely apolitical would be wrong. Ryazanov is a classic example of the late Soviet artist using Aesopian language to communicate with his viewers. His work is full of little winks and nods to those members of the audience who “know” and “understand”. The task of describing how Soviet Aesopian language functioned is not a simple one, as it is a whole field of research in itself, and I shall not try (for an impressive attempt see Lev Loseff’s work On the Beneficence of Censorship: Aesopian Language in Modern Russian Literature, 1984). However one thing about it is undeniable and clear, and this is what our good friend Lev Loseff says about it: “[…] one has only to remove inquiry to another plane – namely, what is the Aesopian content (message) – for two regular features to appear which reveal the enormous disproportion between the structural sophistication, the multiplicity of the code’s forms and the restricted scope, monotonym and customary vagueness of content”. Which is to say, do not ask me to tell you what kinds of secret messages Ryazanov sent to his audiences via the cinematic “winks” and “nods”, because their form WAS their content. It was the very fact that Ryazanov was communicating with the viewers in a way that went over the censor’s heads that made it special. There was no call to arms, no brewing rebellion, just the exhilaration of a quiet knowledge of the mutual understanding between the artist and his audience. A little song lyric here (Ryazanov wrote a lot of songs for his films), a little literary reference there, and often simply a stylistic choice…all very subtle and mostly imperceptable to modern audiences (the fact which does not make his films any less enjoyable to the modern viewer). However if I had to, in some way, sum up what Ryazanov was communicating to his audiences, I would say that it was the message of the importance and value of an individual human experience which for him is much greater than anything as grand and as abstract as five-year plans or the political battles on the international stage – all those sorts of things that Soviet citizens were fed and told to concern themselves with. Ryazanov’s films are all about the “little man” and unashamedly for the “little man”. And such an apolitical stand in a highly politisised society was, of course, political. It would be completely wrong to imply that Ryazanov was the only film director, or the only artist of the period to use Aesopian language to express his vision of the world and society. And by no means was he the most audacious one. The list of writers, musicians, poets, and filmmakers who were communicating discontent (often explicitly political) through their work in the 1960’s and 70’s Soviet Union is long and impressive. And too many of their stories have tragic endings, as often they had to pay a high price for their courage. In comparison with the likes of Aleksandr Solzhenitsyn, Vladimir Vysotsky, and Andrey Tarkovsky, Ryazanov could be easily perceived as a conformist, choosing not to fight the big political battle. You will never see his name mentioned amongst the ranks of Soviet dissidents or dissident artists, as he did choose not to fight. But his “rebellion” is a quiet rebellion of an average citizen, who during the Brezhnev years of Soviet history (aka Stagnation) turned away from the overly politicised public realm and concentrated on the realm of the private, the interpersonal and the everyday. In that sense Ryazanov’s films are absolutely in tune with their time. They are inspired by that turn towards the private realm and at the same time articulate it like very few other cinematic creations of the period. He refused to explicitly talk politics, in the same way that the average citizen refused to talk politics during the Stagnation. That is until the tide turned. Of which in the The Garage, Part II: The Film.